Many thanks to all of you who entered our April 2017 product give-away contest. 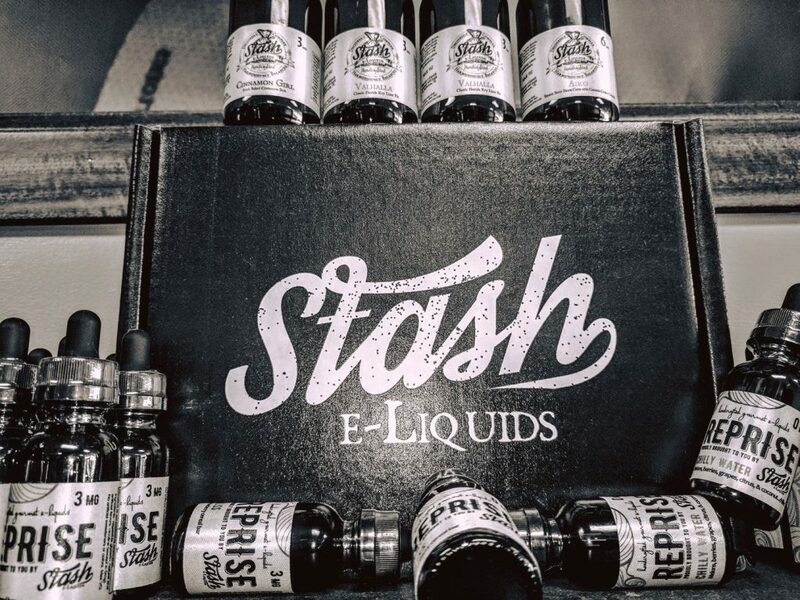 This month’s give away was three 60ML bottles of Stash E-Liquid! We will be announcing the winner of our April contest TODAY (April 21st). Winner will be notified by email and announced on our social media accounts. Please watch or Facebook page today for the exciting news. Response to our first ever monthly give-away was outstanding! In the next few days, we will be announcing our May give-away prize – stay tuned. We can assist you in selecting the right vape accessories and e-liquids to satisfy the urge. Many of our customers have greatly decreased their nicotine intake by stepping down the percentages over time. In fact, a good percentage of them are vaping juices with ZERO nicotine content. We want you to feel at home. Whether you are new to vaping or experienced, our shop and lounge offers a friendly and educational atmosphere. Relax with your favorite smoke or enjoy a cold glass of beer or wine. Dripped Out Vapers is the place to unwind. Our friendly staff knows their business. If you are new to vaping or considering starting, let us help you find the right equipment, juices and accessories to start you off on the right track. No pressure – ever. We carry vape juices and equipment only. If you are looking for paraphernalia for other “smoking” supplies, we are not the place.